These sensational, flavourful and spicy Methi Corn Bhajiya ( deep fried fenugreek and corn frittres) are totally scrumptious! Crispy on the outside, fluffy on the inside and bursting with awesome tongue tickling flavours fritters are so good. They are delicious deep fried steaming hot fritters perfect served at tea time. You can serve with green chutney and tomato ketchup too as an appetizer for any party or get together. A couple of weeks ago, in the market I spotted piles of very fresh bright green corn on the cobs. Because they were so fresh I got greedy and bought more than we needed. While we were coming back, I was telling my kids how I used to relish char grilled corn cobs in India. 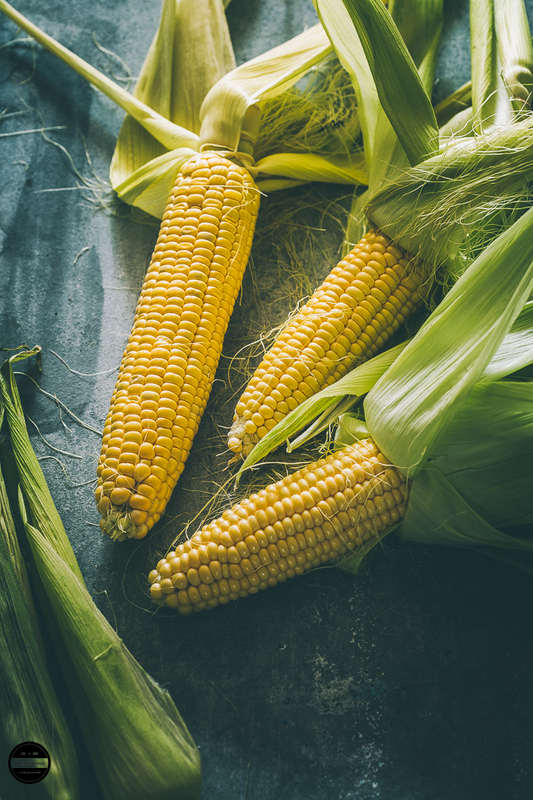 As soon as the monsoon season hits India, you would find Bhuttawalas ( who sells char grilled sweet corn) along roadsides in every city and people would enjoy this inexpensive and healthy snack. So as soon as we reached home, we all enjoyed char grilled corn cobs, we ate exactly how I used to eat in India, just apply little lemon juice, salt and red chilli powder. 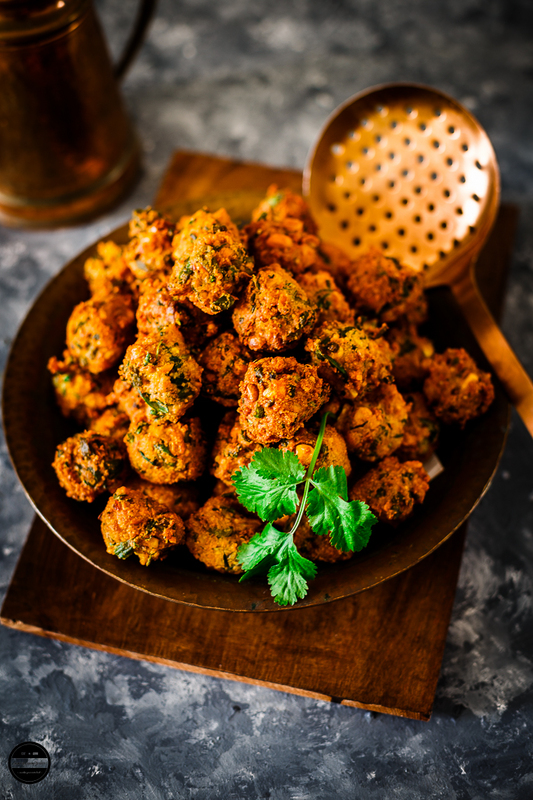 Along with char grilled roasted corn cobs, one more item Indians crave, it's the indigenous deep fried bhajiyas or pakoras. And actually, the rainy season gets more romantic in India when you devour hot and steamy pakora with a cup of masala chai. 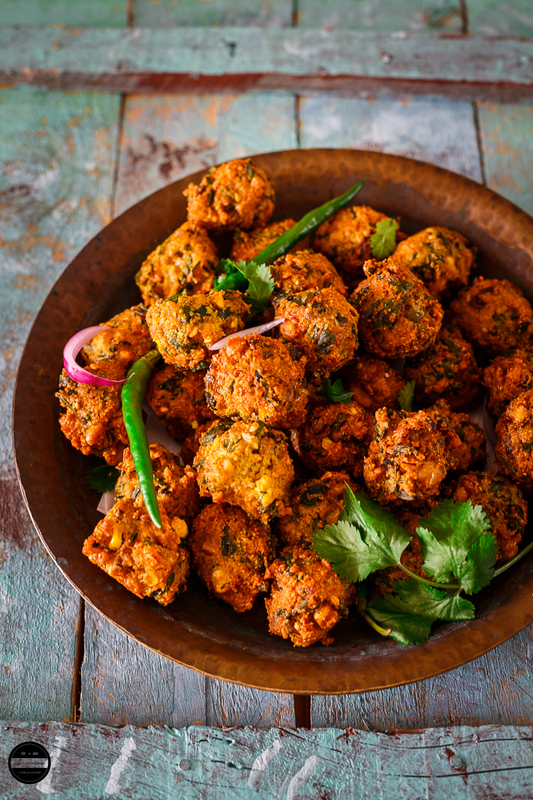 Monsoon season is the season that turns every Indian crave pakora. 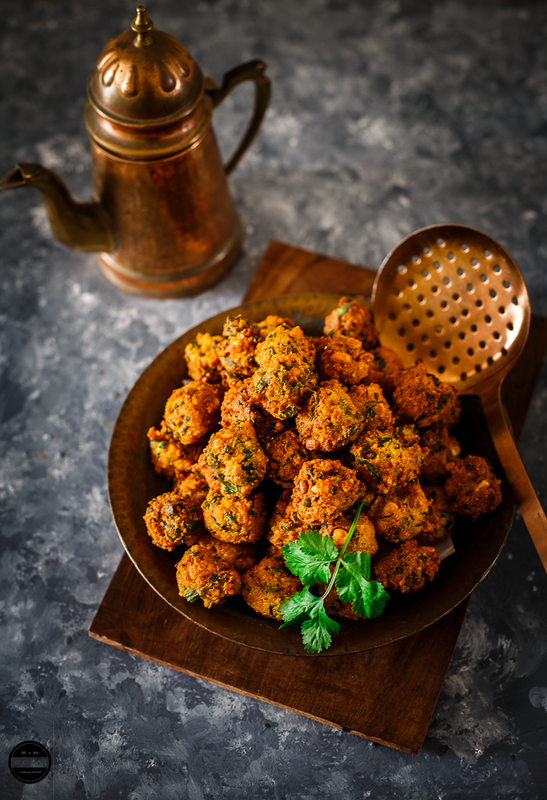 While I was sharing my childhood memories of Indian monsoon with my kids, my mouth was watering and secretly my mind and heart were cravings for hot and steamy pakoras. Lol, maybe Varun Dev ( God of rain-water) felt my angst and the next day in London we had plenty of rain and once again my heart screamed out for a large plate of hot bhajiyas. I decided to prepare Corn Bhajiya with fresh Fenugreek leaves. 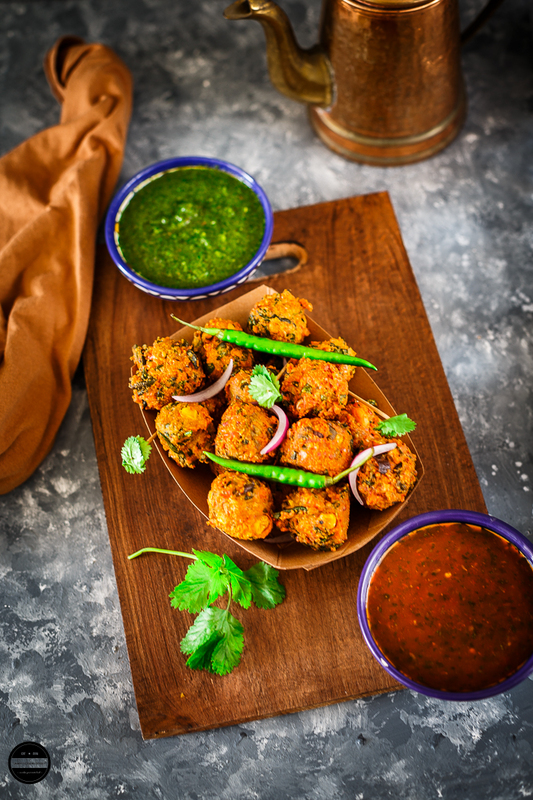 These irresistible Methi Corn Bhajiyas made in a combination of Fresh Fenugreek leaves, tender corn, coarse gram flour and aromatic dried spices and then deep fried till lovely golden brown. Please DO NOT use kasoori methi to replace fresh fenugreek leaves, you won't be able to achieve same taste or flavours of this original recipe. You may use besan if you can't find coarse chick pea flour. Methi Corn Bhjaiyas are sensational and irresistible deep fried snacks , which is prepared with fresh fenugreek leaves, tender corn kernels, and aromatic Indian spices. Pairs perfect with masala chai or green chutney. Place about 2/3 of the corn kernel in a food processor and pulse few times. We don't need puree so keep it coarse. In a big bowl transfer coarse corn kernels and remaining ingredients except oil.Gently mix everything with the spoon and add very little water. You may not need too much water as fresh corn kernels are very juicy itself. Meanwhile heat oil in kadai, pan or deep fryer.Once again whisk the batter and drop small balls in the oil using your hands or with the help of two small spoons. Fry them on a medium heat until they become golden brown.Remove it from the kadai and serve hot with masala chai(tea) green chutney, ketchup, sliced raw onion and green chillies. This looks and sounds SO good! I cant wait to make this and i've pinned it as well! I'm literally drooling over here Jagruthi. 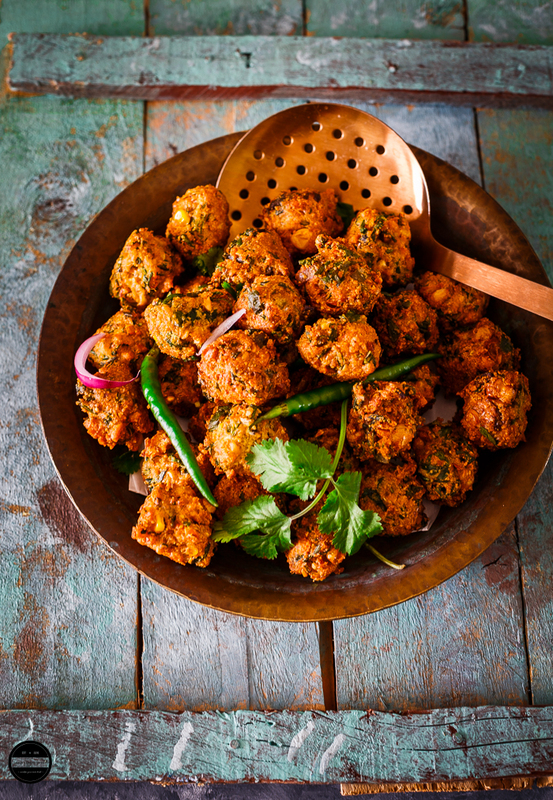 Your pakoda look absolutely irresistible. Amazing clicks. I'm saving this and pinned it. Going to try these tomorrow as they look so good!! Yes, these corn fritters taste good. I had made something similar and it tasted awesome. Need to try this version. Very nicely captured and I love that golden glow. These look delicious - I bet they disappear fast at parties! These looks like the perfect snack, i love fritters! This recipe looks so good! And I love the story about food in India. Those fritters look simply divine! This looks amazing! I love fresh corn, and can only imagine how good this must taste. I'm really looking forward to making corn bhajiyas again and with your recipe. Sounds perfect. I would love to try these fritters. I wish you lived next door so I would pop over and give these a try. Looks wonderful. Don't you just love introducing your children to flavors and food traditions from your own childhood? I think it's so important for us to keep those memories and traditions alive. 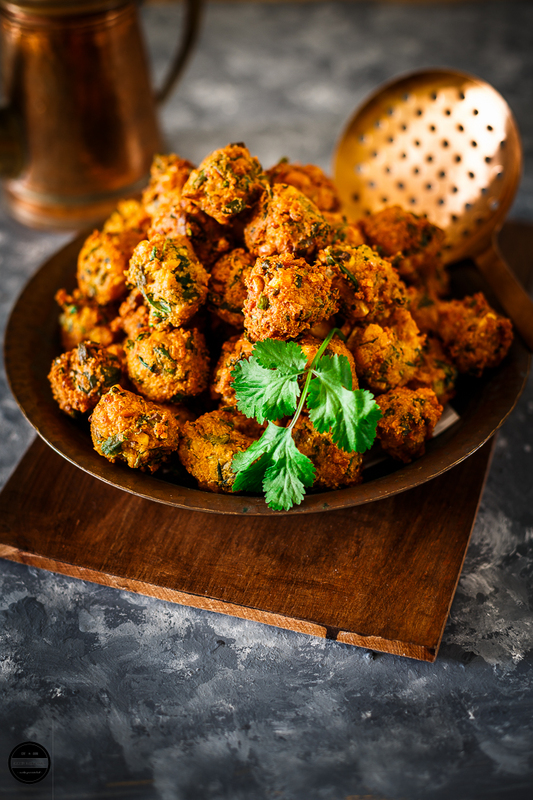 Wow,, the pakoras are irresistible.. specially now it is raining here and perfect weather to enjoy theem. I think you have the most beautiful photos - you food always look amazing too. These look and sound amazing...what would you suggest as an alternative to the fenugreek leaves if I can't find them? Thank you Sue for this comment. You can omit fenugreek leaves or add some spinach leaves. There will be a little taste difference but not huge. Here I'm thinking of going all healthy till Diwali and you tempt me with those delicious looking corn and methi gotas ! I know I'll be tempted to try them out soon.